The Jacket is fixed to the soil by driving piles through the main four legs of the structure in a minimum water depth of 53m. 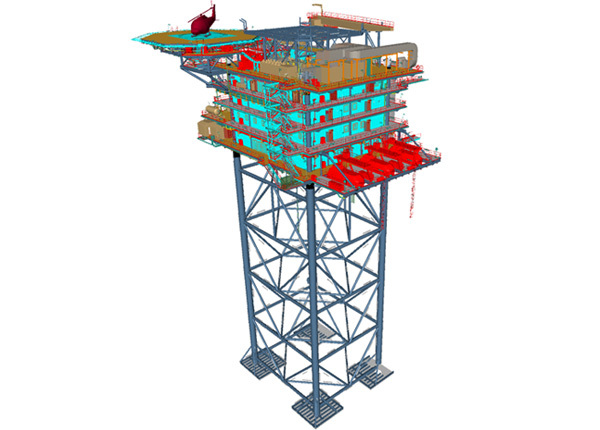 The Topside structure of the ALQ platform includes six deck floors, one crane, three laydown areas and an helideck. 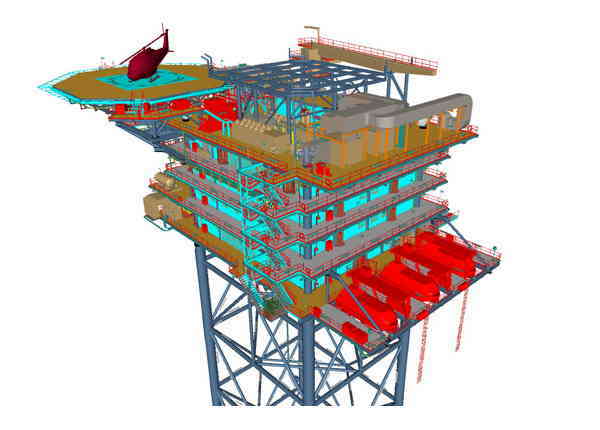 The Topsides structure stabs directly into the top of the jacket piles, below the Topsides cellar deck. 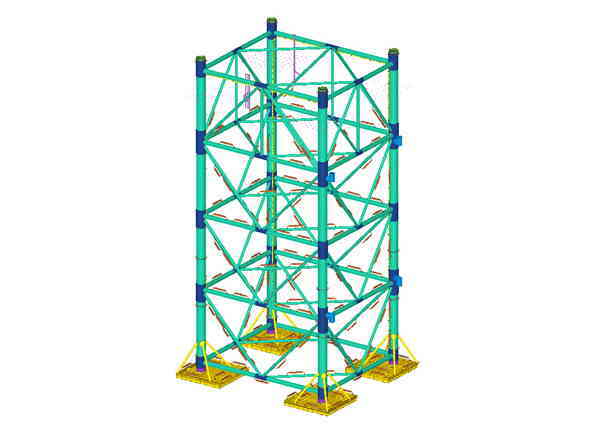 Framings have been developed to optimize accommodation layout requirements. Scope of work also includes brown field modifications for the improvement of the existing galley and mess room on the existing LQ and for the integration of the ALQ. 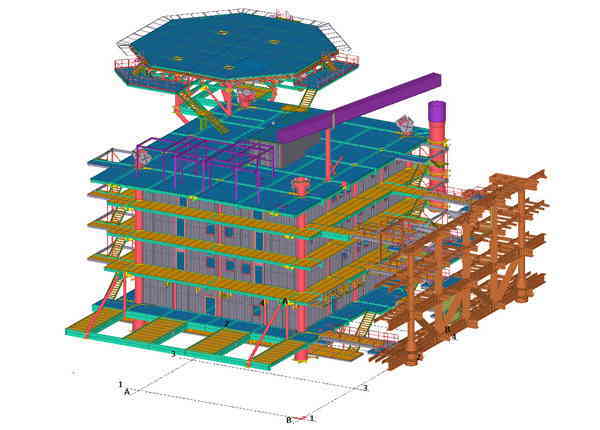 Detailed Structural Design for the In-service, Construction and Installation phases.